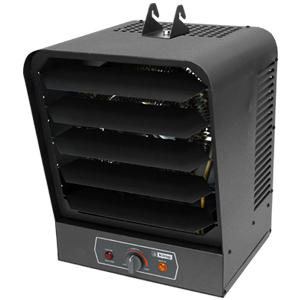 The PSH Yellow Jacket Junior is a 4000W high power portable heater designed to provide a back-up heating source at an affordable price. 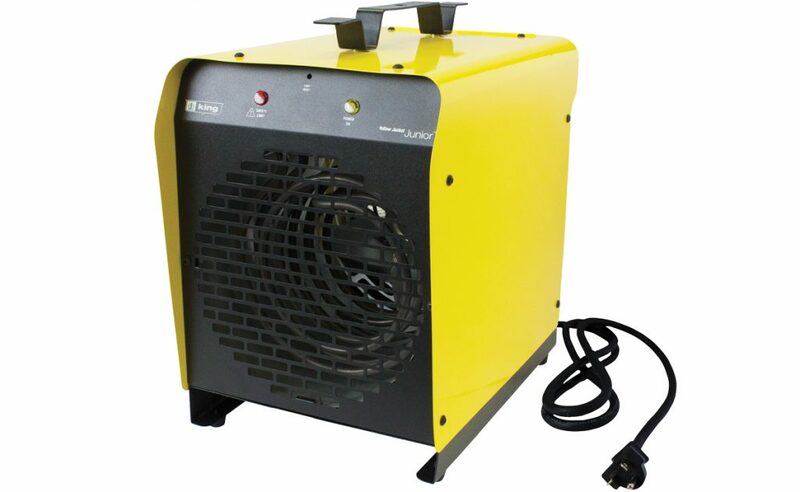 Perfectly suited for the workshop, garage or construction sites. 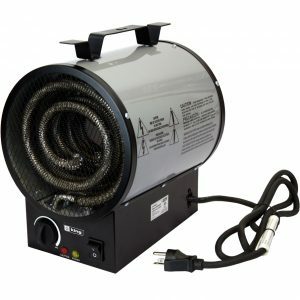 The convenient 6 foot cord allows greater mobility to areas needing heating, while the handle serves as a reel for the cord when not in use. Easily set the desired temperature with the built-in thermostat. 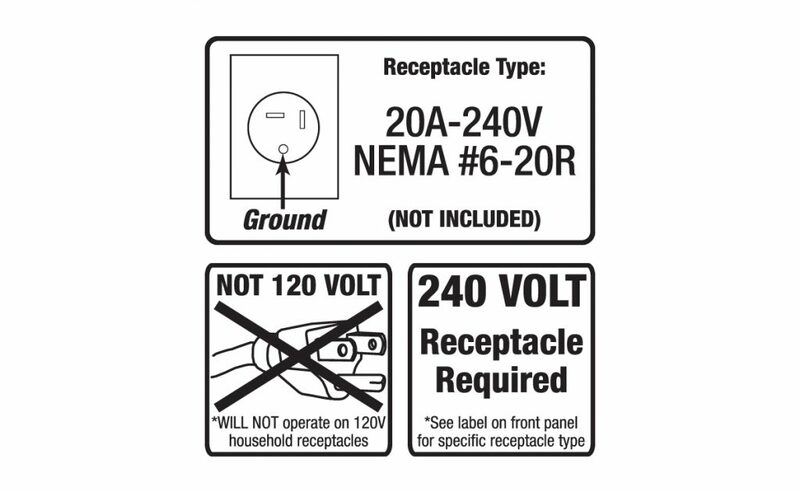 Sure stop high-limit temperature control with manual reset provides overheat protection. With a 300 CFM fan, heat is dispersed efficiently. 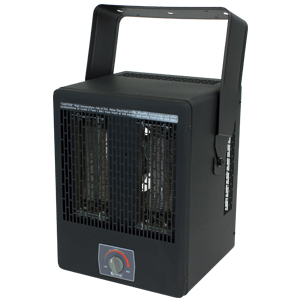 With a 6 foot cord for mobility to areas needing heat and a carry-handle, that serves as a reel for the cord when not in use. Easily set the desired temperature with the built-in thermostat. 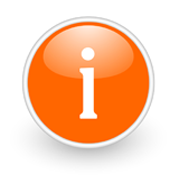 Sure stop high-limit temperature control with manual reset provides overheat protection. The SureStop™ high-temperature limit, with manual-rest provides protection from overheating. Guaranteed Safety.